Once the iPad SDK is released, many developers will be in a mad rush to create apps optimized for Apple’s tablet device. Already, developers are flocking to update their apps with the new iPhone SDK optimized for the iPad. But it’s not only the developers of games and apps who are participating in this gold rush. Motally, a startup that provides analytics on mobile devices, is launching the extension of their user-action tracking services for mobile web and apps to include content developed on Apple’s iPad. Their analytics will automatically work for iPhone apps accessed on the device with further support to be released specifically for the iPad SDK once it is available from Apple. 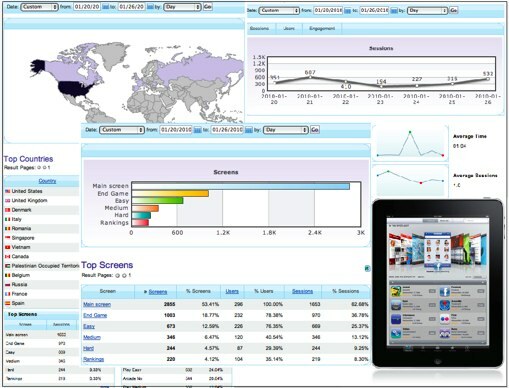 Motally’s offering allows developers to receive daily reports, web-based dynamic reports and user statistics such as unique users, page views, engagement time search keyworks, average pages/visit, etc. Currently using the iPhone SDK, Motally will support the iPad SDK once it rolls out. Motally offers more advanced features that allows developers to troubleshoot and debug their products from anywhere in the world, without having to re-deploy apps and games to the Apple iPhone store. For a young startup, Motally has seen significant traction as a mobile analytics provider. Backed by renown investor Ron Conway, Motally’s clients include Twitter, Yelp, Fandango and Verizon.